Why do we take supplements? What are they for? Supplements are vitamins, minerals, herbs, amino acids or parts of these substances that are in either pill, capsule, tablet, or liquid form. Although they do not guarantee to cure diseases and should not be taken as an option or alternative to any medication prescribed by healthcare providers, they help improve our health and make us feel better about ourselves. 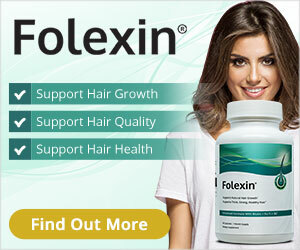 Among the most talked about dietary supplements today are those with Biotin. Biotin supplements are known to help maintain healthy skin, hair, and nails. They are also known to support healthy metabolism of fatty acids, glucose, and amino acids. And as if these aren’t enough, Biotin supplements help keep you attractive and young-looking since they play a major role in thickening your hair and nourishing your skin and nails. In this article, we will discuss one of the best Biotin supplements on the market today; the Komplete Balance BeRadiant Supplement and get to know what it offers. What are its features as well as its pros and cons? Read on and let’s find out! The Komplete Balance BeRadiant Supplement is a synthetic chemical- and hormone-free supplement that contains essential vitamins and minerals such as Vitamin E and C, Zinc, Copper, Manganese, Calcium, and Selenium as well as Gotu Kola, Fo-ti, and Grape seed extract. It helps stop hair loss since it blocks DHT, which is the hair loss hormone and repairs hair follicles. Moreover, this natural supplement also contains keratin, collagen, selenium, silica, minerals, and Biotin. And as if these aren’t enough, this product also has three nutrient-rich seaweeds and antioxidants that help hair grow longer, thicker, and stronger as well as nourish your skin and nails. Additionally, it comes in 60 tablets. Helps in growing hair longer, thicker, and stronger. The Komplete Balance BeRadiant Supplement is known to block the hair loss hormone called DHT. It also has herbs and other essential ingredients which help repair hair follicles and stop hair loss. Additionally, it contains eleven antioxidants which restore your skin’s health and lessen your wrinkles as well as keratin, collagen, selenium, silica, biotin, and minerals that help your hair grow longer, stronger, and thicker. The combination of Biotin and these vitamins and minerals make your hair look shinier and thicker. Moreover, two pills of this supplement amazingly contain 27 potent herbs, minerals, and vitamins to nourish and restore your skin, nails, and hair. It also helps us achieve that glow from the inside out since it comes with Vitamins C and E, Zinc, Copper, Selenium, Calcium, and Manganese. This supplement is formulated scientifically with keratin, bamboo, and Biotin, to name a few, which help us achieve healthier, stronger, and longer hair. As with the Komplete Balance BeRadiant Supplement, the Hairfluence Natural Hair Growth Formula also provides the nutrients missing from your diet and helps promote the natural volume and vibrancy of your hair and make it grow healthier. It costs a bit cheaper than the Komplete Balance BeRadiant Supplement, but it claims to deliver almost the same results. The Hello Gorgeous Skin and Hair Supplement is formulated with vitamins, proteins, and other beneficial substances to help reduce your skin’s fine lines and renew plumpness and elasticity. 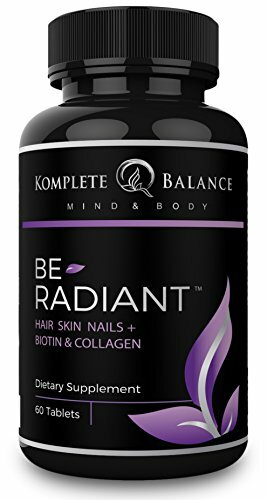 Compared to Komplete Balance BeRadiant Supplement which has a total of 27 potent herbs, mineral, and vitamins in two pills, this product contains 16 beneficial ingredients to prevent your hair from being dull and brittle, and give your nails the nutrients that they need. It also has antioxidants which replenish nutrients and vitamins that your body is missing. Comparably with the Komplete Balance BeRadiant Supplement, this product is also a DHT blocker with Biotin. It has a three-in-one skin, hair, and nail formula which supports the growth of hair and nails as well as regeneration of skin. It is 100% vegetarian, is easy to swallow and does not include dyes. Both Komplete Balance BeRadiant Supplement and DrFormulas HairOmega have vitamin C ingredient that helps support collagen synthesis so we can have radiant skin. After a thorough discussion about theKomplete Balance BeRadiant Supplement and comparing it to other popular products out on the market today, do you think about considering taking this supplement? Well, we can say that it is an awesome choice for a supplement since it already contains a balanced combination of vitamins, minerals, and herbs which help your hair grow longer, thicker, and stronger. It also lessens your wrinkles, restores your skin’s health, and provides nourishment to your nails. However, we can say the same for the other related products mentioned above. These supplements all offer to enhance the health and growth of your skin, nails, and hair. But the important thing to consider is first to consult your doctor to make sure that taking any supplement would be safe and recommended since some of these may interact with your other prescriptions and result to adverse side effects. Lastly, we want to emphasize that although these supplements should not be considered and do not guarantee a cure or a complete fix to your health problems, taking them may be a start of your journey to a better and healthier you. Also, it is also wise to remember that the best course of action is always to consult your doctor first so you have a better idea of what will work best for you.